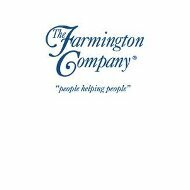 A Farmington Health Insurance Company review uncovered a company in Farmington, CT by the name The Farmington Company. This company was formed in 1980 for the purpose of offering voluntary benefits packages to business owners with ten or more employees. This company is able to offer a variety of healthcare plans from a number of major carriers. To get health insurance rates, available to you in minutes, just enter your zip code here to get started. The Farmington Company has the ability to make your business competitive by supplying your employees with a benefits package that will attract new talent. This company offers flexibility while ensuring that your administrative person-hours are not used, nor do you receive invoices from the company. This business focuses all of its efforts on voluntary benefits; therefore, they are experts in their niche. With healthcare such an important benefit to an employee, it is considered part of the salary. Rates are affordable and detailed to meet the needs of your employees. Team representatives are assigned to your business to work directly with your staff during the enrollment process and beyond. Employees are invited to communicate with their representative in the event they have questions. Farmington health insurance plans are paid by your employees, which in turn cost your company very little. This company is different from other voluntary benefits companies in several ways. Farmington is one-on-one with your employees, relieving your Human Resources department of the burden of the enrollment process or managing the employee benefit account. Farmington’s plans are also available for your pets, your home, and your car. If you do not have a home computer for your family, Farmington has a plan for that too. Business relationships with such a long list of carriers make The Farmington a competitive player in the insurance market. Representatives will schedule the best times to come to your place of business to sit with each employee to discuss plan options. After the representative meets with each employee, they assign an implementation and account manager to your site and a service representative also. They will stop by periodically to check on everything and enroll any new employees. Any changes to benefit policies, administrative correspondences, or communication will be performed by The Farmington benefits staff. You will not receive any invoices or communication from carriers. The Farmington administrative staff also conducts billing and reconciliations. Your business has a list of communication options from which to choose. Farmington will communicate the accumulation of sick leave and personal days to your employees. Flexible spending account information is also circulated. The company will issue statements of other sorts as well so your staff will always know the status of their benefits. Data and dependent eligibility updates are made in addition to any changes to your policy. The availability of consumer-driven health plans places Farmington and its clients on the cutting-edge of insurance choices. The Farmington will educate your employees and enroll them in any of these plans. Finally, the company will distribute customer satisfaction surveys for employees to complete. This company makes working with them very convenient with as little imposition as possible. Enrollment is set-up electronically so there is no long drawn out paper work to complete. Payments may be made electronically as well. The company assures its clients that employee information is held under the strictest security software and database. The Farmington has a national call center to answer any questions you and your employees might have at any time. They can also take enrollments over the phone. The Farmington Health Insurance website carries more information for your review and convenience. You can receive health insurance rates at anytime from this website by entering your zip code here!